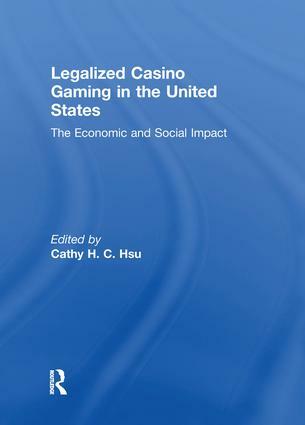 Covering the entire United States gaming market, Legalized Casino Gaming in the United States provides gaming researchers, policymakers, and hospitality students comprehensive overview of the history, development, legislation, and economic and social impacts of riverboat, land-based, and Native American casino gaming. Containing national and regional research about the industry, this book will provide students with a historical view on gaming and the hospitality industry, offer researchers data and current market status of the industry; and will give policymakers information about the advantages and disadvantages of a gaming industry in their community. Examining the industry from ethical, economic, and social standpoints, the contributors offer you several perspectives of a situation, not just one side of an issue, to help you make educated decisions or opinions about gaming. Bolstered with charts, graphs, tables, and future research recommendations, Legalized Casino Gaming in the United States offers you an in-depth and comprehensive look at the gaming industry, helping you weigh the positive and negative effects of one of the most popular areas of hospitality.